Arrive at Poldark Cottage and you will feel instantly welcomed by the beautiful garden that leads you inside to the heart-warming interior. Feel right at home amongst the sense of charm and character that sets a cosy feel, creating a lovely base to return to day after day. The lounge offers a comfortable place to relax, with its dining area and kitchen close by, so you can enjoy many pleasant afternoons and evenings. The king-size double bedroom is beautifully presented with a woodburner effect fire and an en-suite shower room to compliment the formation. In your downtime, why not spend a couple of hours resting in the lawned garden perhaps with a refreshing drink, as you take in the lovely location? 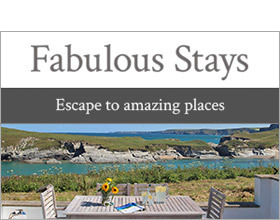 An ideal getaway for two, in a beautiful part of Cornwall.